You can set your browser to not accept cookies or to remove cookies by following directions located in your internet browser's settings. If you reject cookies, you can still use our site to make orders but some features may be limited. You may request details of personal information which we hold about you under the Data Protection Act 1998. A small fee will be payable. If you would like a copy of the information held on you please write to 2322 La Mirada Dr. Vista, Ca 92081. 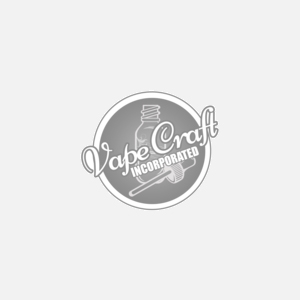 The information you provide through contest and surveys is the property of Vape Craft inc and is not shared with any 3rd parties. Alternate Cig reserves the right to disclose any personal information about you to obide by the law and when we feel necessary to protect our rights and or comply with a court order, judicial proceeding, or legal matter involved with this site. We will never disclose any of your information to 3rd parties for any other reason that stated above without notifying you first and obtaining your written consent. Alternate Cig has links to 3rd party websites. We have no control over the privacy policies of 3rd party sites we link to. To ensure the safety of your personal and financial information (such as credit card info and social security numbers) we use Secure Socket Layer (SSL) technology. The information you provide to us through our website is encrypted into our payment gateway and is then stored in our payment gateway providers database where it is only accesible by special authorized persons and kept and required by law to be kept confidential. Your financial information is 100% secured.